Type 1 diabetes also includes latent autoimmune diabetes in adults (LADA), the term used to describe the small number of people with apparent type 2 diabetes who appear to have immune-mediated loss of pancreatic beta cells. Having high blood sugar can cause diabetes-related complications, like chronic kidney disease, foot problems, non-traumatic lower limb (leg, foot, toe, etc.) amputation, eye disease (retinopathy) that can lead to blindness, heart attack, stroke, anxiety, nerve damage, and erectile dysfunction (men). Researchers continue to work hard to find out what causes type 1 diabetes. It is known that having a family member (parent, sibling) with type 1 diabetes slightly increases the risk; however, definite risk factors are currently not known. There are many signs and symptoms that can indicate diabetes. If you have any of these symptoms, it is important to contact your health-care provider right away. Even if you don’t have symptoms, if you are 40 or older, you should still get checked. If you think your child might have diabetes, see a doctor today. Speak with your doctor and ask him or her to test you for diabetes using one of the following tests. The amount of glucose (sugar) in your blood is measured in mmol/L. You must not eat or drink anything except water for at least eight hours before this test. A test result of 7.0 mmol/L or greater indicates diabetes. This test may be done at any time, regardless of when you last ate. 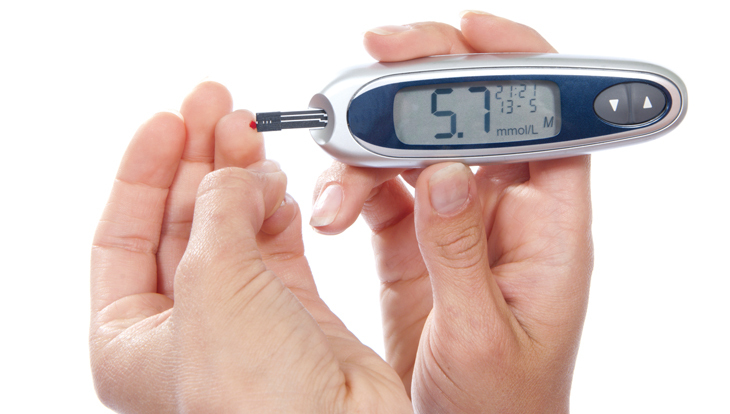 A test result of 11.0 mmol/L or greater, plus symptoms of diabetes, indicates diabetes. You will be given a special sweetened drink prior to this blood test. A test result of 11.1 mmol/L or greater taken two hours after having the sweet drink indicates diabetes. A second test must be done in all cases (except if you have acute signs and symptoms). Once diabetes has been diagnosed, ask your doctor to refer you for diabetes education. The Canadian Diabetes Association also has many resources to help you understand diabetes better and live a long and healthy life.